The Government Building Agency invited De Vet to create a work for a new Public Prosecution Service building in Lelystad. The Dutch Public Prosecution Service (Openbaar Ministerie) represents the interests of society and is traditionally the highest guardian of public order in the country. It investigates crimes, prosecutes offenders, and ensures that sentences are carried out. 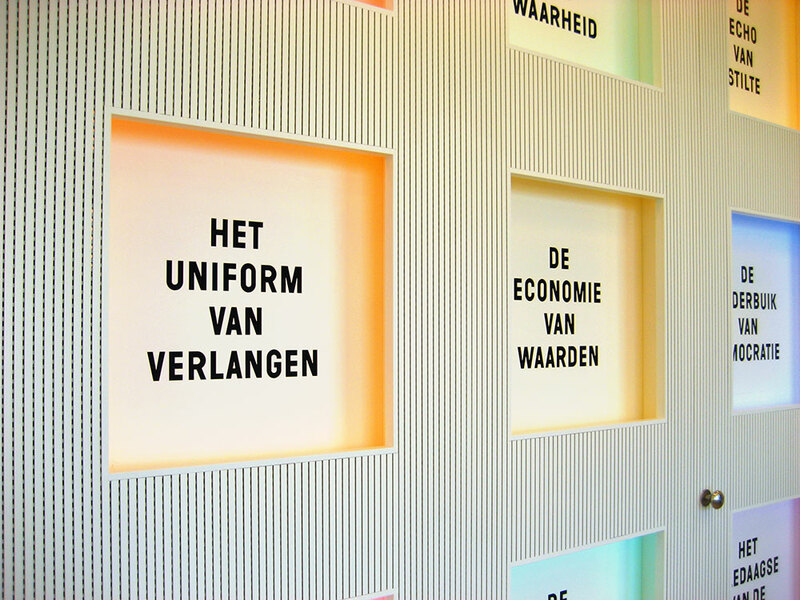 De Vet made a wall of 21 illuminated niches containing short phrases. It’s located in the room where lawyers and their clients wait to go before the judge. Where the language of the legal code leaves as little room as possible for interpretation; the phrases in Between the lines do the opposite. 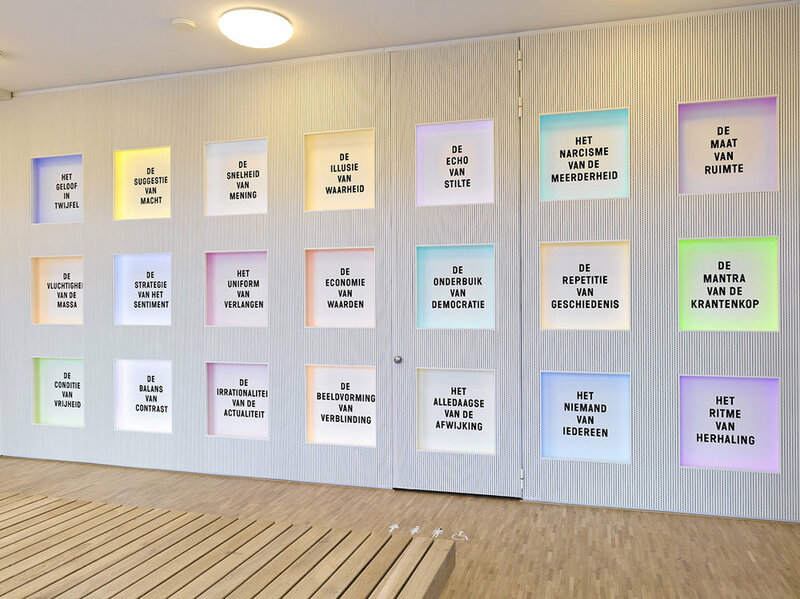 Without getting too abstract, they refer to social processes and movements in our society as well as in the media. They read almost like news headlines, and refer to the authority of the media in influencing our collective morality and ethics.